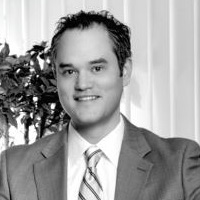 Ryan M. Armstrong is the Vice President of Midwest Financial Advisors. A graduate of Michigan State University with a Bachelor of Arts in Economics and Business Administration, he acquired his training as a Financial Advisor through Merrill Lynch & Co.
Mr. Armstrong is registered as a Financial Advisor and holds registrations in both the Series 7 and the Series 66. He also holds his Variable contracts, Accident and Health Insurance licenses. His practice focuses on advising individuals and small- and mid-sized business owners in the planning and implementation of wealth management strategies, retirement planning, annuities, life insurance, health insurance, education planning, and estate conservation.